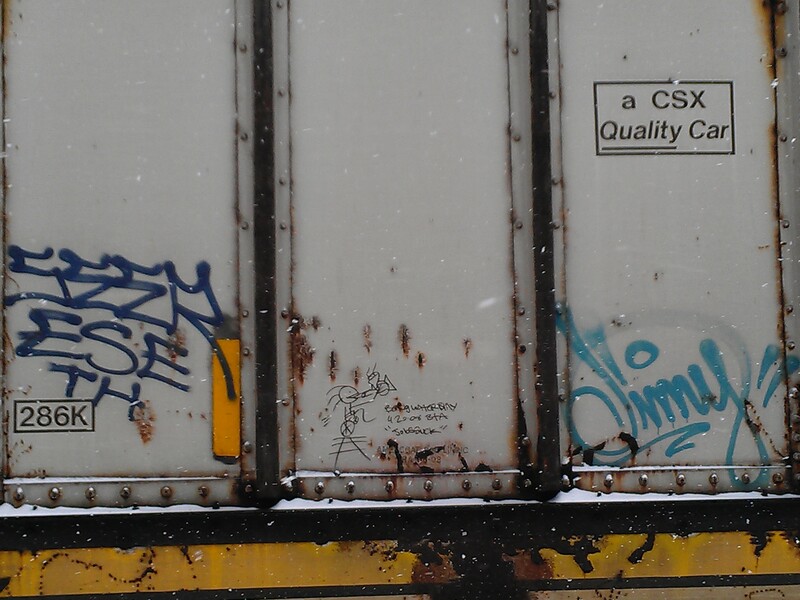 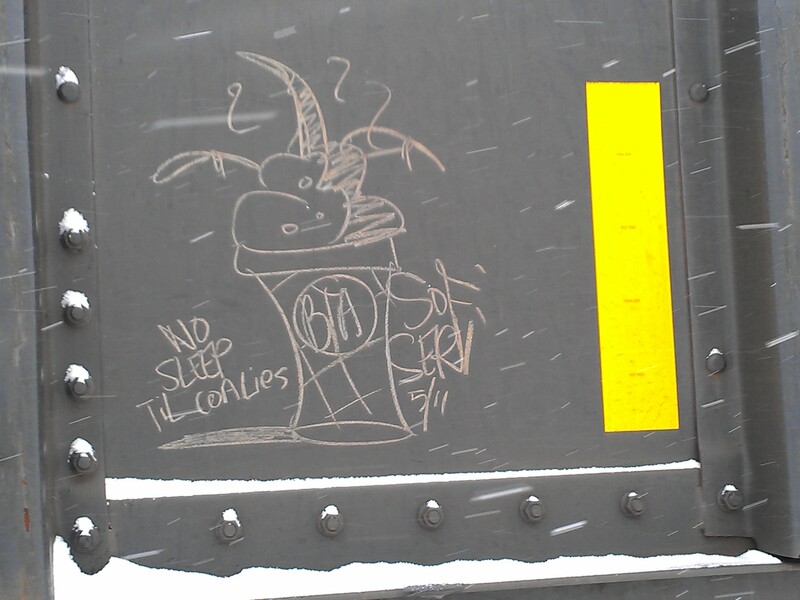 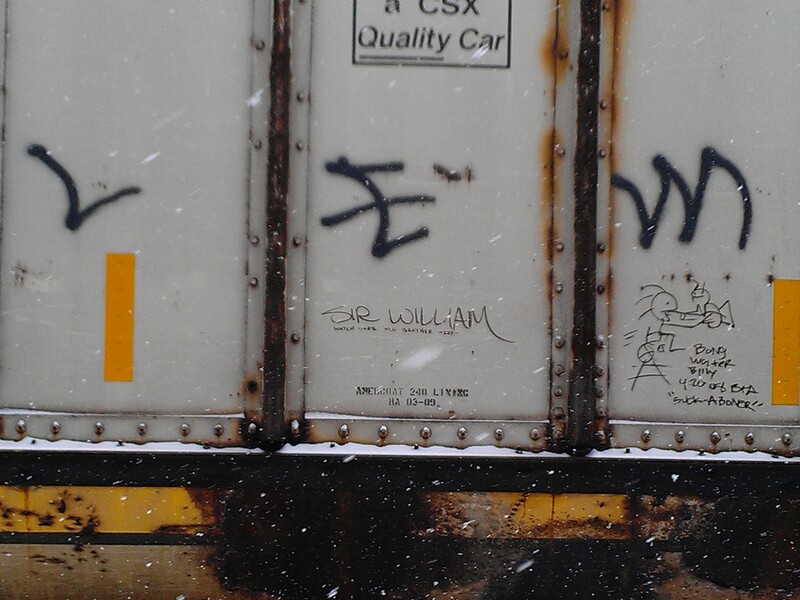 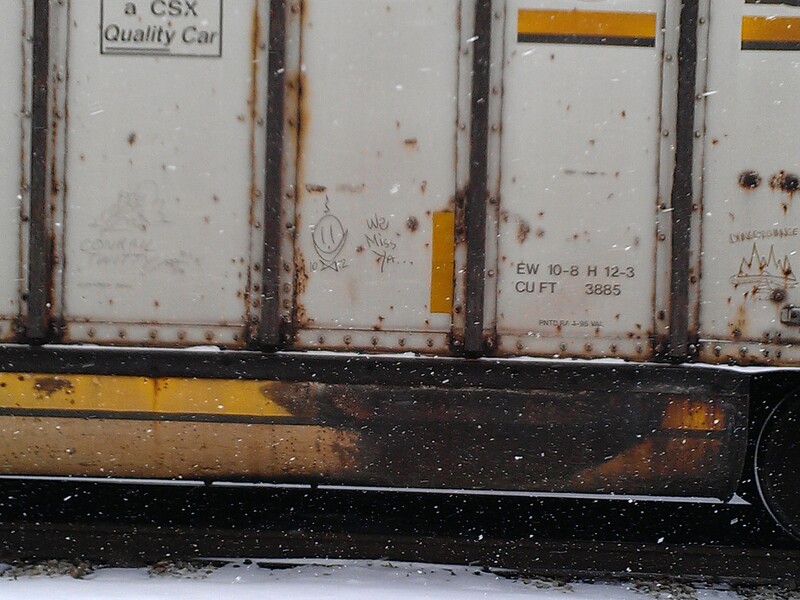 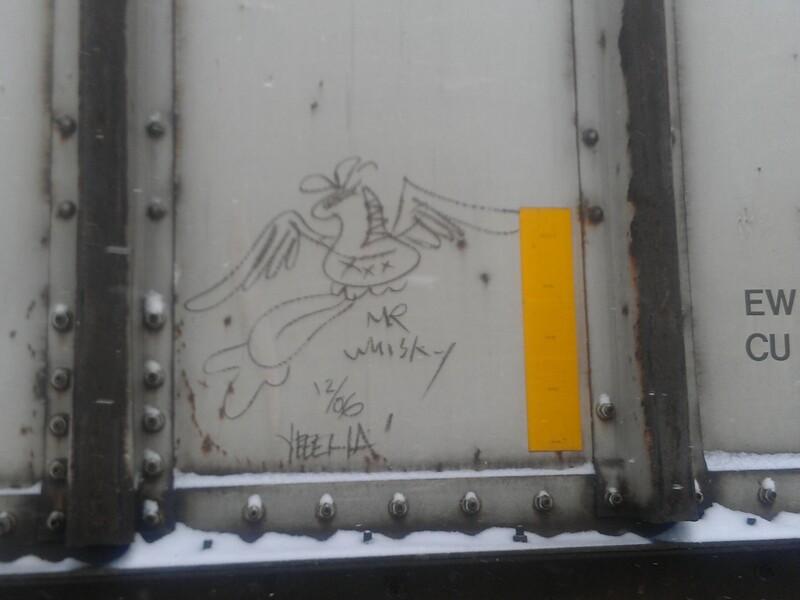 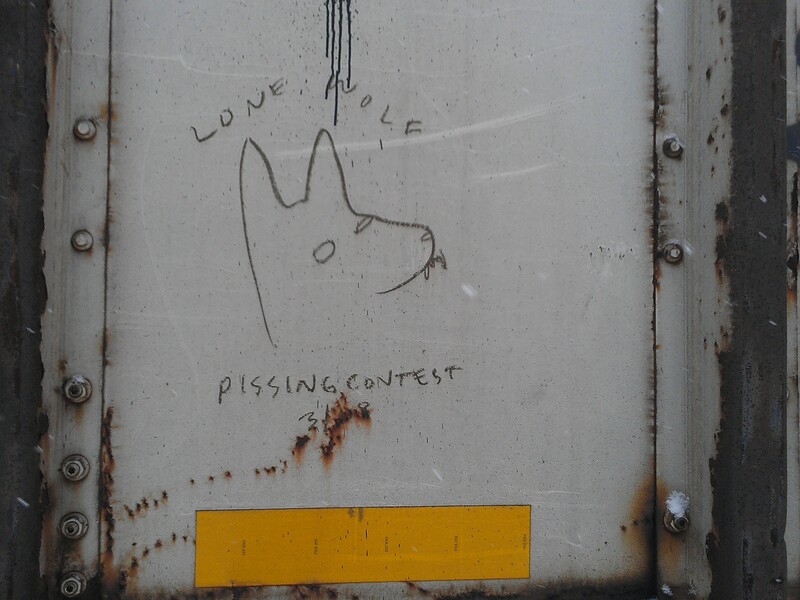 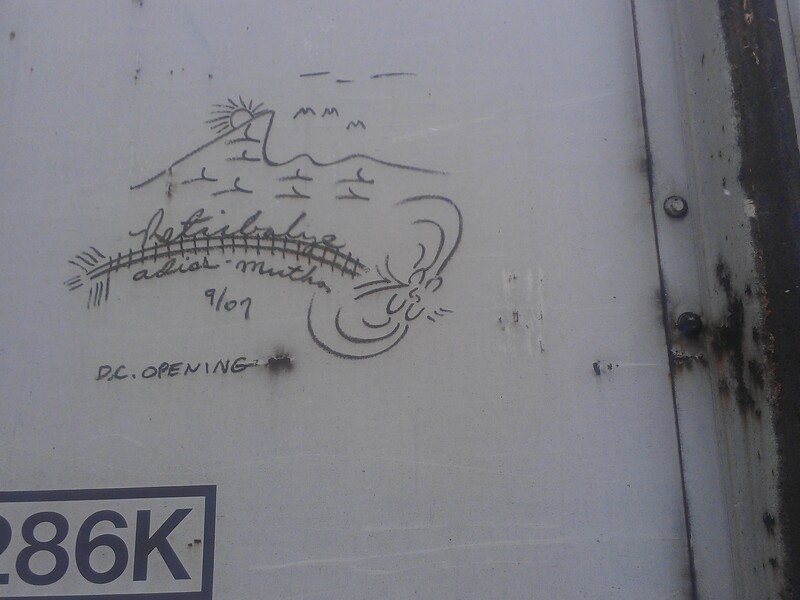 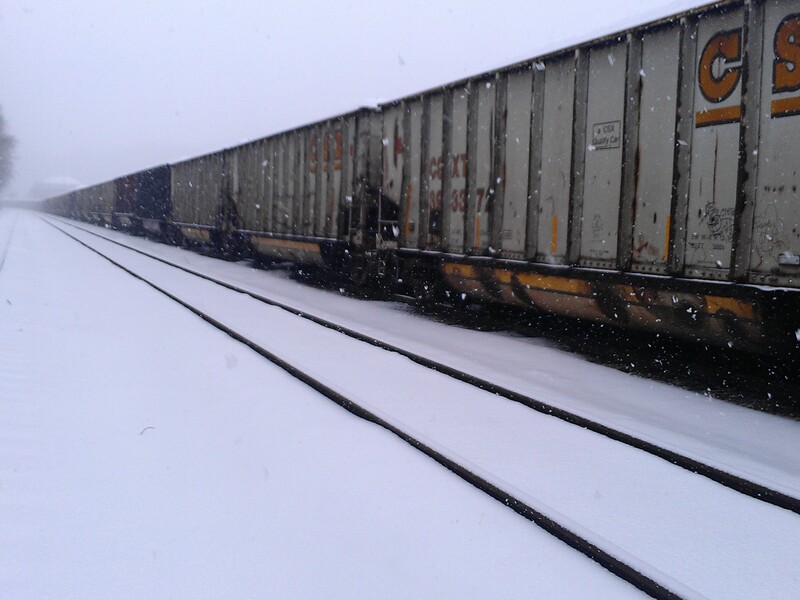 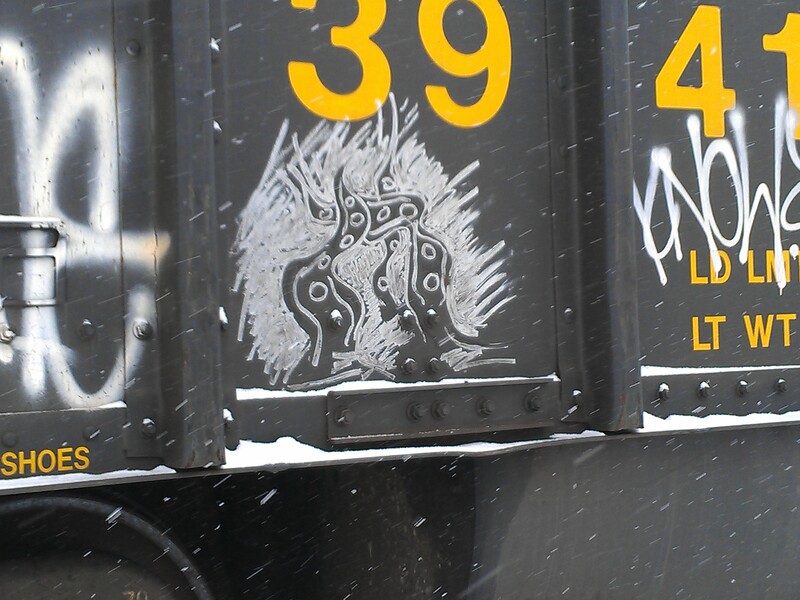 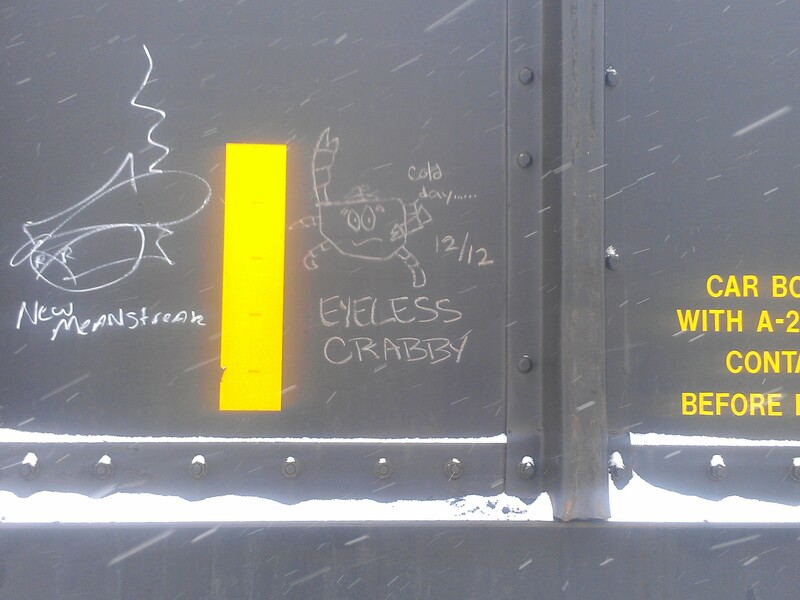 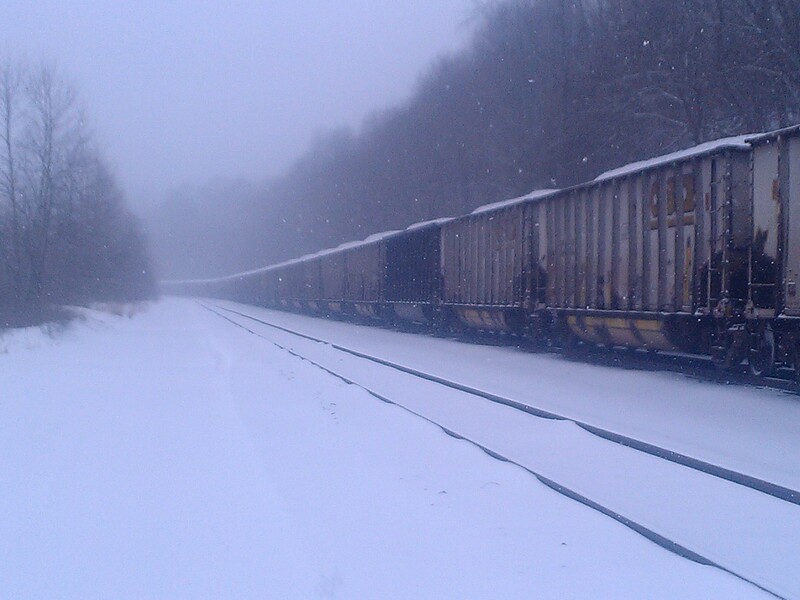 Here’s a great site for boxcar art. 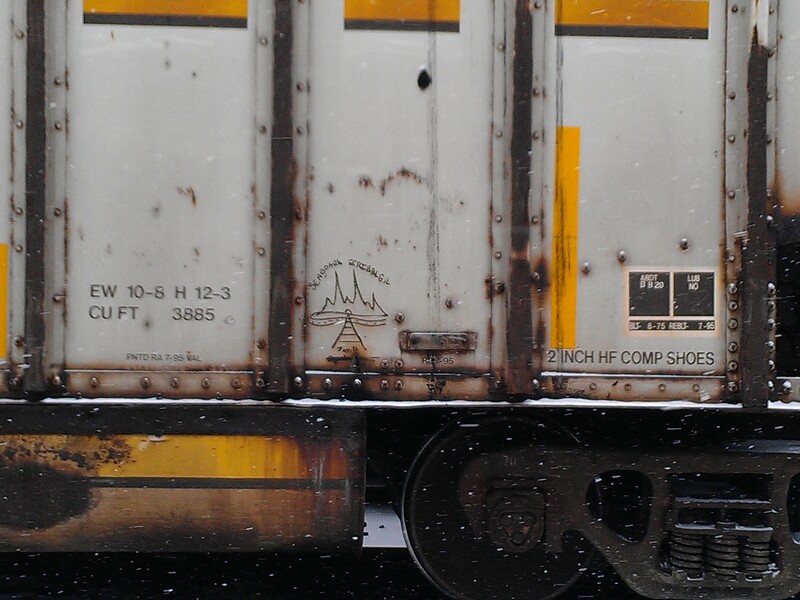 Here’s a great site for hobo signs and their meaning. 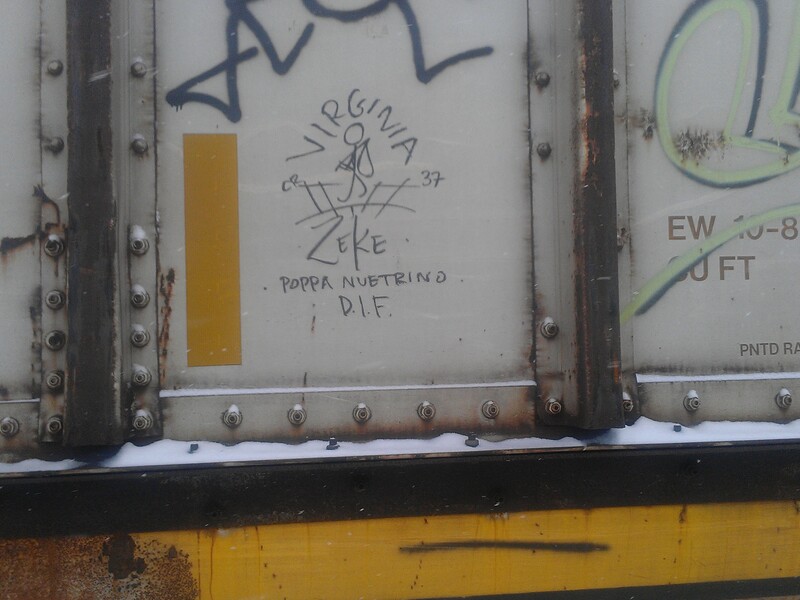 I didn’t really see any of this stuff on the train. 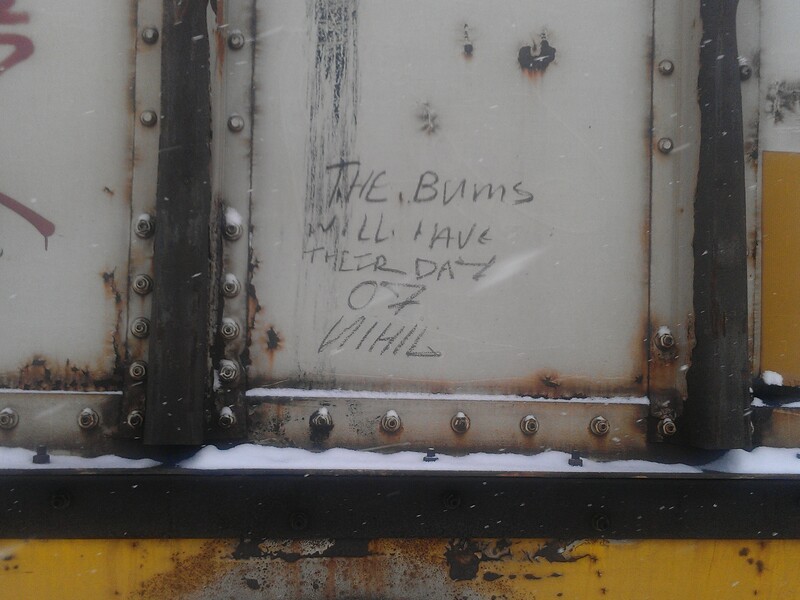 People usually just write out what they want to say. 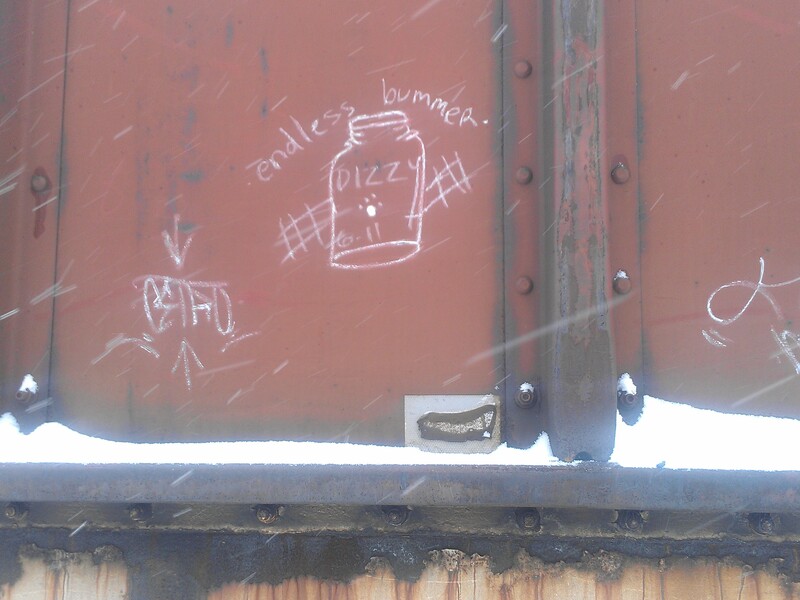 My favorite moniker was used by Travis “Conrail Twitty” Conner, who apparently died. 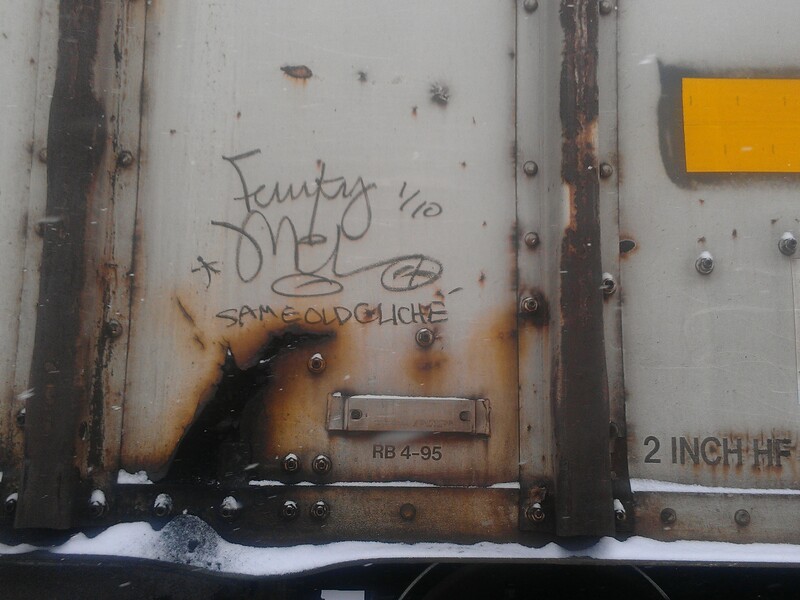 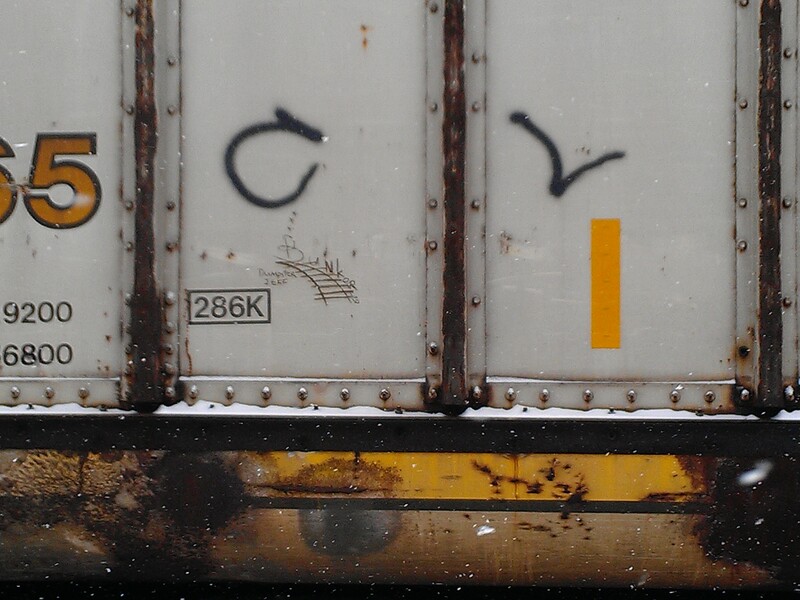 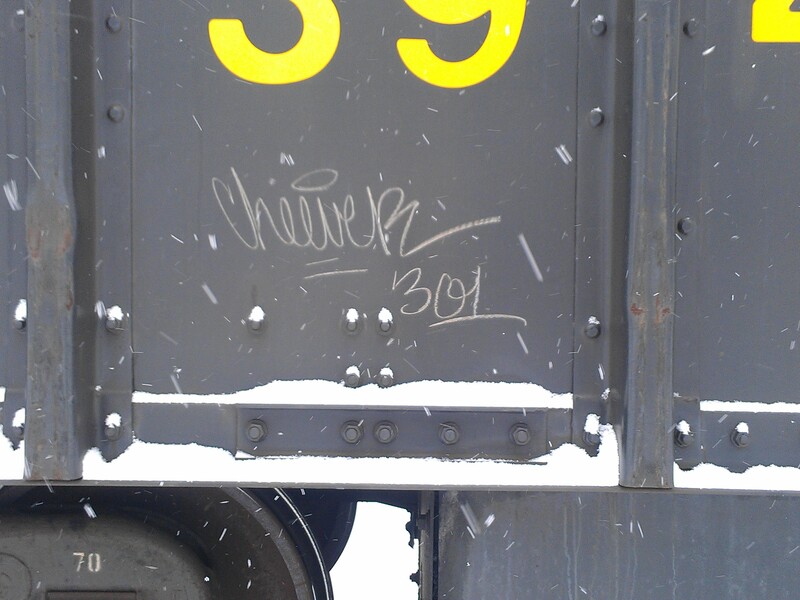 He worked on the railroad, and he tagged cars. 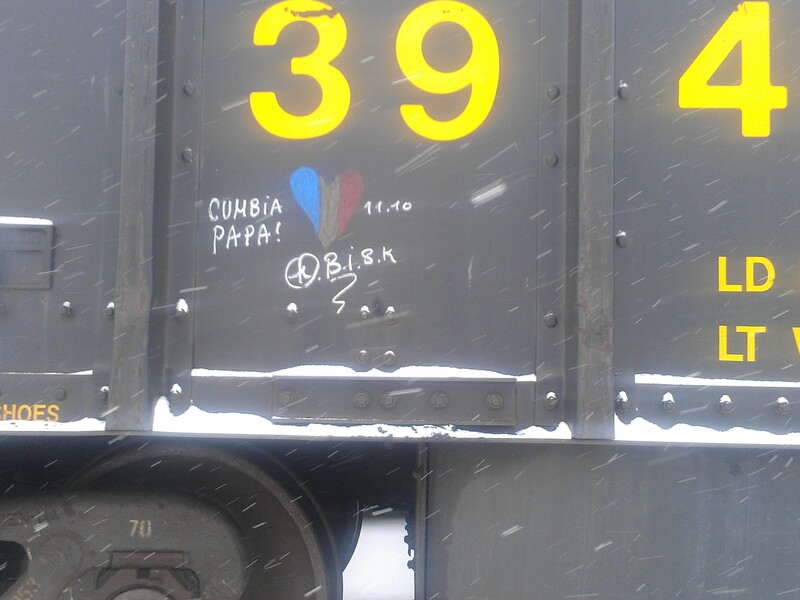 I backpacked and hitchhiked across Alaska and Europe when I was younger, and I was able to make enough to keep moving, but I used the youth hostel network instead of rail cars. 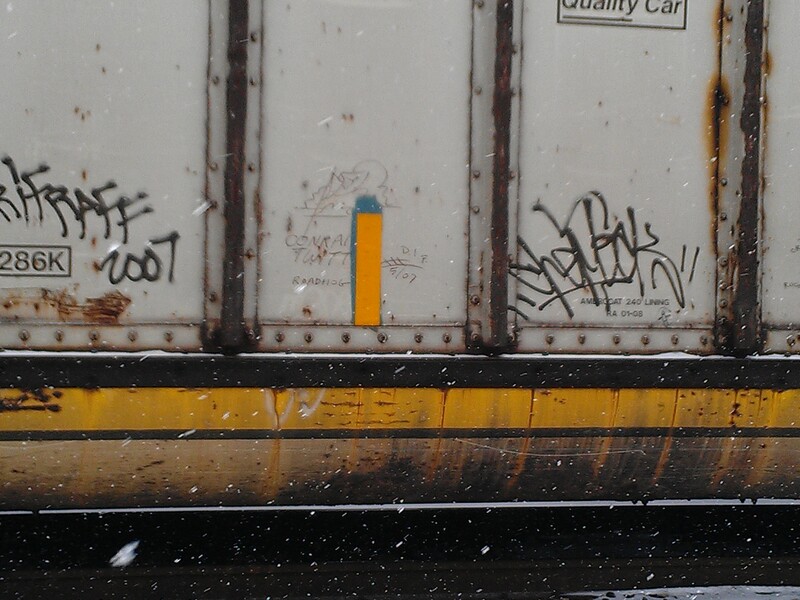 Dixie Iron Fist (DIF) IDK WTF DIF is. 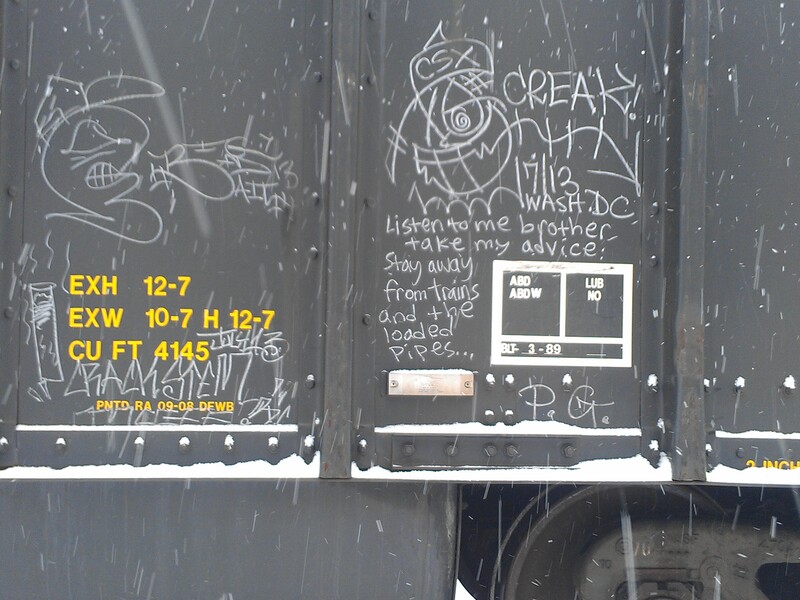 Advise, please. 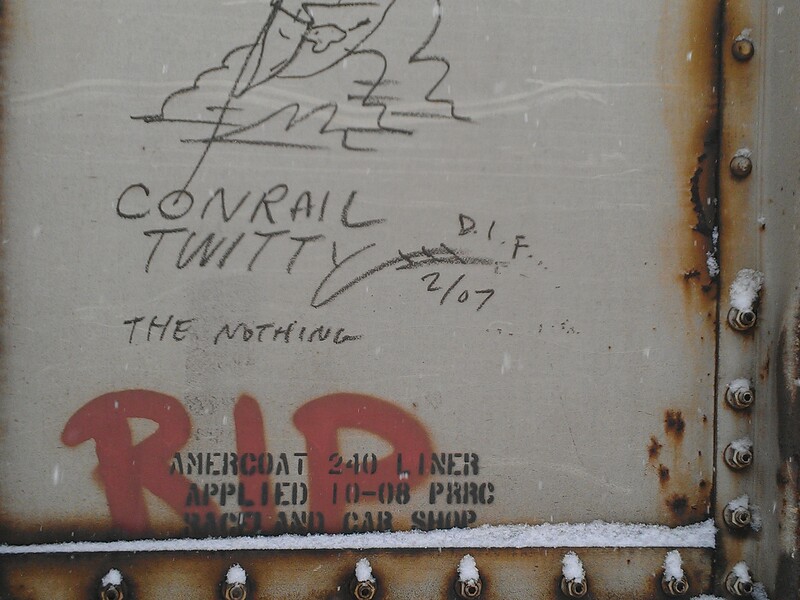 You can purchase Conrail Twitty’s book here. 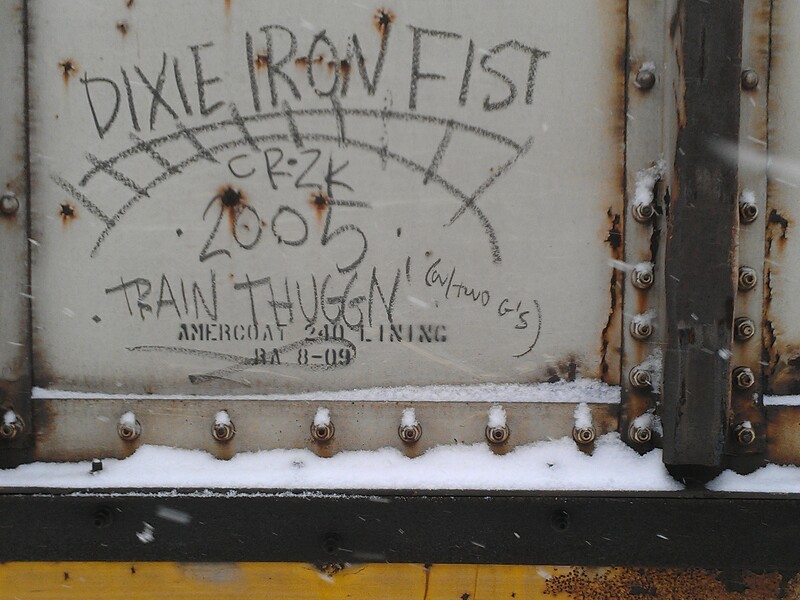 Anyone know what the hell “Dixie Iron Fist” is?